IT services providers in Orange County have made it their business to follow legal guidelines pertaining to the tech industry completely. They know the law and they’re going to go above and beyond in order to ensure complete compliance. Here’s the thing: HIPAA is complicated, and it’s confusingly worded in some places to seem optional, while in others to seem ironclad. Usually, what seems optional has to do with means of implementation, but realistically, there isn’t anything that can be negotiated. If you’re found in violation of anything HIPAA-related, an audit could cost you quite a bit. 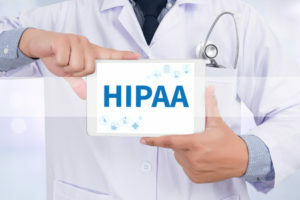 IT services companies in Orange County understand HIPAA backwards and forwards, and can help you save time, money, and perhaps even your practice. Make no mistake, though ostensibly for the protection of information among patients, HIPAA also represents an opportunity for the government to milk you till you’re almost dry, and in complete legality. When 9 out of 10 practices are subject to data breaches in a two-year span, the pencil-pusher in Washington who needs to come up with some funds basically has only to draw a name out of a hat. Finding an IT services provider in Orange County that’s experienced in these matters is fundamentally necessary. At Intelecis, Inc., we specialize in ensuring all practices are in full compliance, and even “go the extra mile.” Want to learn more? Contact us today!